DJ Duo Curtis and Anna were the DJ/Emcees at Ross Mortgage annual holiday party. The party was at the beautiful Westford Regency with lots of fun had by all. Curtis also takes CKE Photography at the party and uploads the edits to a tv screen. Guests can view the photos that have already been edited through the night. Ross Mortgage is a fantastic mortgage company that is partnered with both LAER Realty Partners and Curtis Knight Entertainment. Curtis and Anna are both Real Estate agents with LAER Realty Partners. Curtis and Anna are also licensed in MA as well as NH. Ross Mortgage is also the go to Mortgage Company for LAER. Ross takes care of LAER while providing clients with red carpet service. The Westford Regency does a fantastic job. They served delicious appetizers and then an amazing buffet dinner. No one left this party hungry! Once the delicious dinner was complete there was a giant dessert table. If you couldn’t find something you liked, then something is wrong! Curtis and Anna kicked the night off with several team building games. Games included Numbers, Rock God Riffs and Musical Chairs Scavenger Hunt. The winners of the games get “bragging rights” for the year to come. After the games there was lots of talk, drinks and dancing! Great night for all at the Ross Mortgage Holiday Party! Pictured above: Kiki from LAER smiles for the camera. 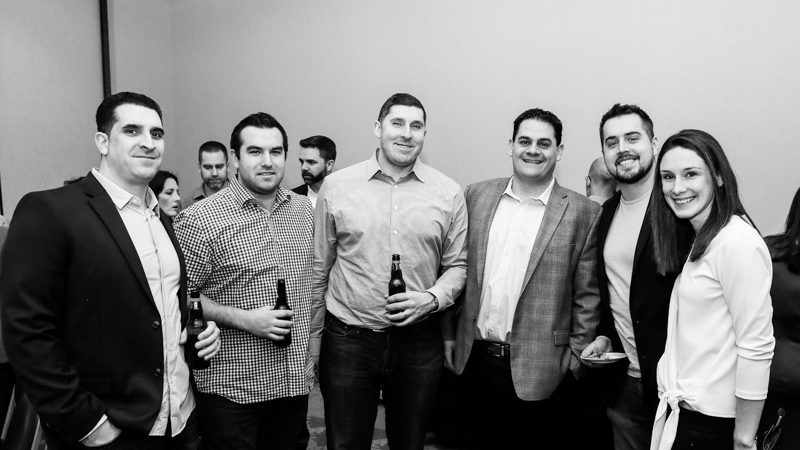 Pictured above: The Ross Mortgage crew enjoying the party. CEO/Owner Stacey Alcorn of LAER along with CEO/Owner Robert Kalagher of Ross Mortgage. Ross Mortgage rocks a game of numbers. Rock God Riffs while enjoying the party. Musical chairs enjoyed by staff and friends with an added twist! Great holiday party is complete with dancing!